“Let’s go from purple ceiling,” Mina Nishimura is saying as rehearsal begins again. In the foreign language that the choreographer has with her dancers, this shorthand seems to carry not only information on their physical positions and where they are in the progression of the piece, but also about their affects. They reassemble and their faces take on strange new expressions. Quiet House, Ash Daughter will premiere at Mount Tremper Arts Center in the Catskills on August 22nd, and along with Nishimura’s new solo piece, Princess Cabbage, will comprise her first commissioned, evening-length presentation. Having come to the United States from Japan in 2002 and trained for three years at the Merce Cunningham Studio, the receptive, intelligent Nishimura has been developing her own work while dancing for other choreographers, including her husband, Kota Yamazaki. Through his teaching she has spent the past twelve years cultivating a practice of butoh, the Japanese dance form created in the late 1950s by Tatsumi Hijikata and others who sought to define a uniquely Japanese approach to Western-dominated modern dance. Butoh has been through many iterations and encompasses numerous schools of thought, but has always been more concerned with inner experience than outward aesthetics. Although trained in and influenced by a range of classical and post-modern practices, Nishimura describes her intention for Quiet House, Ash Daughter as “composing internal landscapes” and “bridging internal expressions and external forms,” explorations that feel native to butoh. 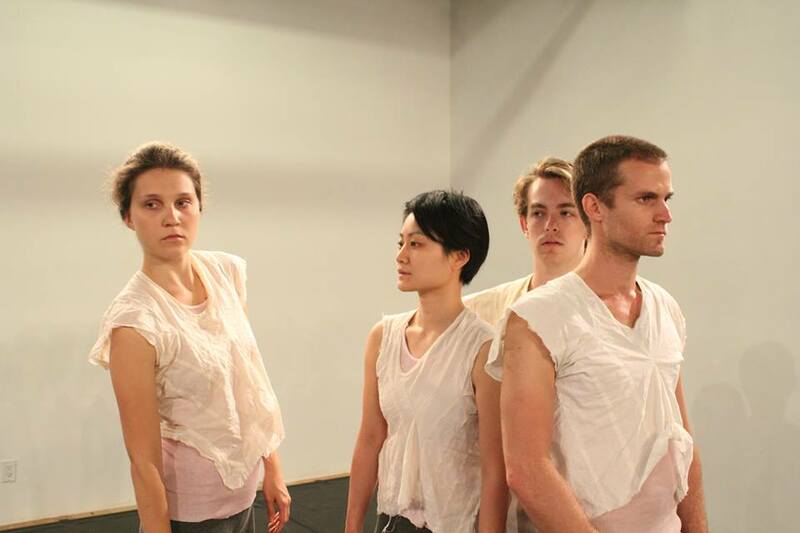 The piece, which will be performed by two male dancers (Jon Burklund and Li Cata) and two female ones (Lydia Chrisman and Nana Tsuda Misko), involves moments of near-stillness, where only facial shifts, the trembling of body parts, or changes in stance let the viewer in on the dancer-character’s mind state. The gaze is often far-off, but when moments of eye contact or physical connection happen between the dancers, they create curiosity and compelling tension. In an essay she contributed to The Swedish Dance History, Nishimura wrote of Hijikata’s scores that they “often evoke grotesque images of a sickened, decayed, and ugly body.” These descriptions, she continues, “come alive in our bodies only when we successfully hold on to the nuances of the words as opposed to getting stuck in the literality of them.” Nuance is a term she uses frequently and which seems vital to both her movement style and to her inherent conception of meaning. Japanese, she notes further, “is well designed to express subtle nuances and vague feelings, while English is more useful for crystal-clear and precise communications.” In this sense, it’s as if Nishimura is translating on several levels with her current work: from Japanese to English (notably, only one of her dancers speaks Japanese) and from English to movement. 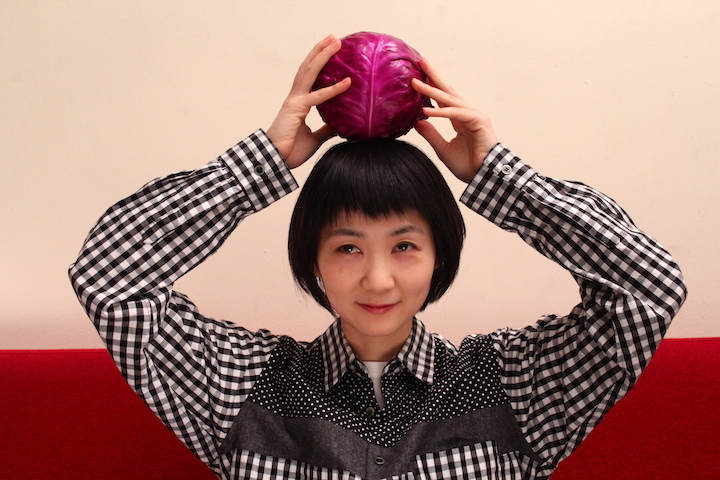 Princess Cabbage, which she began work on in January 2013, became a vehicle for exploring and inhabiting these ambiguous yet visceral descriptions. From Hijikata’s Sickened Primadonna, a biographical novel, Nishimura drew the character of Princess Cabbage, who she sees as “more like a mode” than a person. “I imagine she has a dry brain and [an] empty body,” the choreographer wrote me in an email, “and she may be trapped in this space (or castle?) where images are floating around!” The piece will come first in the program, and will employ voice—her own and Ms. Chrisman’s, which comes into the audio track at one point, reciting certain of Hijikata’s lines—as well as her own drawings on one wall. 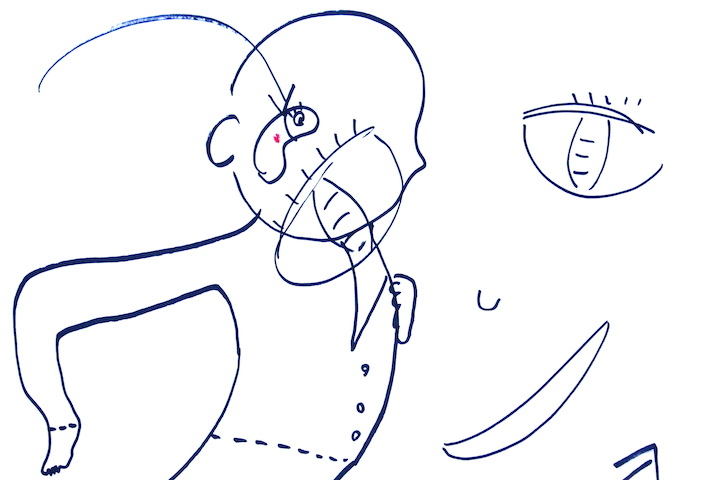 Drawings figured highly in Nishimura’s process for both the solo and the group piece. In her highly associative mode of creating, text ignites strong mental images, and those images lead fluidly—yet never too literally—to movement. Along the way, her sketches serve a range of purposes, from diagramming the positions of dancers and audience to showing particular expressive postures, or even providing more impressionistic references in the early stages of idea-gathering. 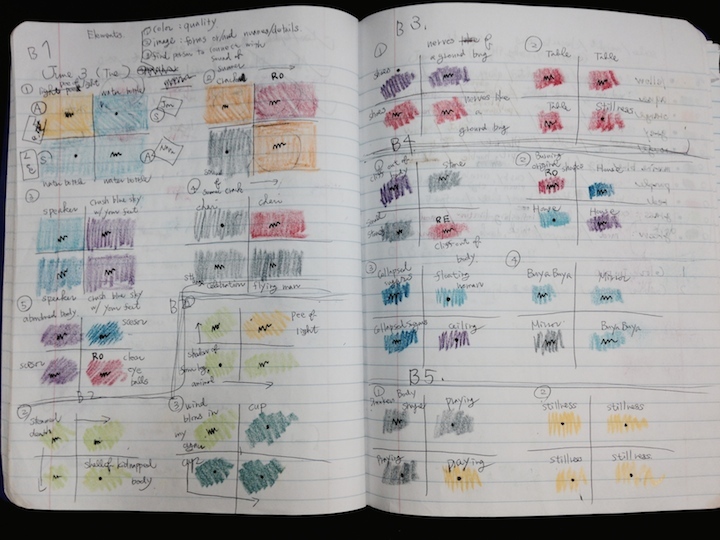 One page of her current notebook shows a fascinating series of numbered drawings, each made up of a written word or phrase from the butoh scores alongside the color or set of colors in which Nishimura visualizes it. In this way, “purple ceiling” more easily becomes part of the shared, imagined vocabulary of the piece. For Quiet House, Ash Daughter, which she began working on with the current group during a residency at Chez Bushwick in July 2013, the process has been especially challenging and growthful for Nishimura. “When I made group pieces in the past,” she explains, “I was using only pedestrian, gestural, or very clear steps and movements. I had been thinking I should make work using such common languages (like communicating with people using English! )” Yet over the years, as her own way of using her body—which, she notes, relates back to her culture and to butoh practice—became more distinct, that meeting-in-the-middle approach to collaborative work didn’t feel right. “As my body started speaking my personal language more loudly,” she reflects, “the gap started growing more,” making the differences between her movement style and the post-modern modes she was used to working in with others seem more pronounced. She took this as an indication that she would have to find a way to communicate her approach to others, to involve them in the conceptual and physical process that underpins her own work. It is clear as one watches Nishimura engage with her four dancers that a highly mutual dynamic has been reached. I didn’t witness the earlier stages of rehearsing, but over this summer as the premiere approaches, there has been a noticeable sense of ease to the way this group navigates together. One dancer reminds another of details he has forgotten; they frequently answer each other’s questions before Nishimura has to. The choreographer can be seen crouching limberly, deep in thought or combing through her notes. Most of the time, she is watching and listening, and when she speaks, in her delicate, melodic voice, it is often to share the wonderfully idiosyncratic visual impressions she wants to see played out in the piece (“I think of that part as more pastel,” she offered one day as a precision, and the dancers nodded comprehendingly). Regardless of whether or not they came to the work originally with similar frames of reference or expressive styles, there is no lack of understanding between these five now. Nishimura’s residency at Mount Tremper Arts begins this week, and she is eager to see her work against the wooded quiet of the setting. Working with composer Stephen Cooper, she has developed a score that lends an “ethereal tone” to Princess Cabbage and a very subtle, almost “ghosty” sound behind Quiet House, Ash Daughter. The costumes for the latter are designed by Yamazaki (who studied fashion and designed ballet tutus for twenty years in Tokyo). The configuration of the space for the group piece is likely to include some of the audience sitting in a central circle—though Nishimura hopes they don’t “get lost completely sitting in a foggy forest”—and will certainly create the feeling of being pulled in to the atmospheric inner realms of the work. At the end of Nishimura’s introduction to the earlier essay, Nuanced Body, she poses a playful challenge to the reader and interpreter of Hijikata’s scores: “you can get as muddy as you want,” she says, in the adventure of meaning-making from these richly peculiar texts. Somewhere amid the foggy forest and the mud at Mount Tremper, a special kind of magic is about to take place. The world premiere of Princess Cabbage and Quiet House, Ash Daughter will take place on August 22-23 at Mount Tremper Arts Center in Mount Tremper, New York. For more information and to purchase tickets, please visit http://mounttremperarts.org.